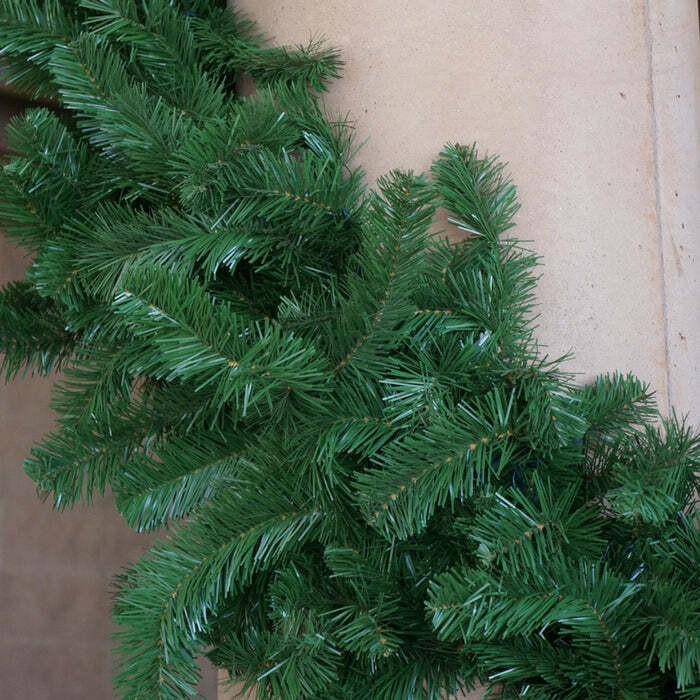 Next to the Christmas trees, gorgeous garlands are the cornerstone of Christmas decor. Our lush commercial grade garland is beautiful. With 300 tips of dense greenery that is a dark green it is sure to leave an impression. Christmas light source has Mini Lights, LED Strings and Bulbs, along with C7 C9 Bulbs Cords that can enhance this garland. The diameter measurement is tip to tip after you fluff the branches a bit after arrival. It will come shipped in compact packaging to insure its safety in travel. Iâ€™ve worked in the floral industry for years. I have never seen such a thick and lush garland before. The price is unbelievable for this fine a quality. I will be ordering more.